We sat down with Chad Wiebesick, the inaugural Executive in Residence for Eastern Michigan University’s Center for Digital Engagement. 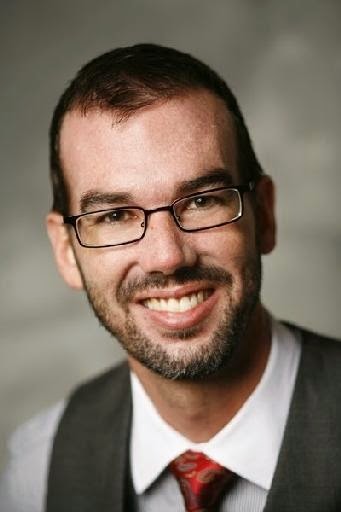 Chad is the head of social media for the award-winning Pure Michigan campaign and has been working with EMU for a number of years on the Search MarketingWorkshop. We talked with him to learn more about his work at Pure Michigan, his plans for the Center for Digital Engagement and how students, staff and the business community can connect with him. Q: Tell us a little about yourself and your role at the Michigan Economic Development Corporation. I serve as the first-ever Director of Social Media and Interactive Marketing for the State of Michigan’s economic development and tourism office, the Michigan Economic Development Corporation (MEDC). In this role I oversee the processes, tools, training and governance in transforming our organization into a social business, including providing thought-leadership and coordination among 17 social media administrators. MEDC also administers the Pure Michigan campaign, whose social media presence ranks #1 or #2 on more social networks than any other state tourism office. Q: Why is social media vital to MEDC’s overall communication and public relations goals? MEDC has 35 official social media accounts (see some here and here and here) managed by 17 administrators overseeing a community of 1.8 million followers. MEDC’s LinkedIn page has more followers than any other state economic development office in the nation, and Pure Michigan’s use of social media ranks among the Top 10 destinations in the world. Pure Michigan is also the #1travel brand in the world on Instagram, as measured by the number of people who have uploaded photos with the hashtag #PureMichigan. Social media is no longer an experiment. It has fundamentally changed the way companies communicate to their customers, and the way government organizations communicate to constituents. Our organization is using social technologies (both external like Facebook and LinkedIn as well as internal like Chatter) in ways that have a large-scale and measurable impact on our business. We utilize social media to drive three key objectives: (1) Amplification: We amplify the Governor’s economic development message and initiatives (2) Transparency: We provide transparency into who we are and what we do, including highlighting the people behind our programs to give a face to an often seemingly faceless government organization and (3) Customer Service: We answer questions and follow up on inquires on a daily basis from people who contact MEDC via our social channels, including job seekers, business owners, travelers and other constituents. Our organization receives 15,000 comments, questions or inquiries from the public per week via our social media channels. Not every comment or inquiry requires a response. We’ve been able to increase our capacity to respond to the public by enlisting the assistance of the MEDC Customer Call Center, whom have been trained on social media platforms. In 2015 we will continue to scale social media adoption and integration across the organization. Social media isn't “owned” by corporate communications, no more than the phone or email is owned by any one department. Q: What are the keys to a successful social media strategy? First, know your audience, and choose the right network for the right audience. One-fifth of the world’s population is on Facebook, but if your audience isn't there, don’t waste your time. There are over 100 networks, so be judicious in which networks you select. Second, understand the reason people use social networks is to talk to friends and family, not to be interrupted by marketing messages from brands. So, it’s our responsibility as an organization to create content that is helpful, informative and meets the needs of our audience (while aligning with our business objectives), so that we don’t insert ourselves awkwardly in their conversation. Brands have to be respectful of people’s time and attention and understand the unwritten social etiquette for each social network. Unlike marketing and PR, social media requires a two way conversation with the public. So, if an organization is going to get started on social media, they need to prepared to have real conversations with real people, and not treat it like a one-way broadcasting platform. For Pure Michigan, we've aligned our social strategy to our business objective. It sounds simple, but many businesses overlook this. Our advertising and marketing efforts brand Michigan as mythic, majestic and magical. We create social content that aligns with our brand and increases awareness of Michigan as a travel destination. We focus on creating engaging content that inspires people to share it with their friends and family. People don’t trust brands, they don’t trust companies, they certainly don't trust government. Who do they trust? People like themselves -- their friends and family. (To a certain extent they might also trust third party advisors, researchers or the news media). A message is trusted more when it comes from someone you know. So we focus on creating content people want to share with their friends and family. We ask travelers to share their photos with us, and we in turn we share that with our community. About 80% of the content we share comes from our community, 20% comes from us. Q: How do you measure the impact of social media? Does social media work? Asking if social media works is like asking if a stick works. Depends on how you use it. A stick works for propping open a door; it works less well for doing delicate eye surgery. Businesses have to choose the right tool for the job. In our case, we want to shift negative perceptions and promote Michigan as a great place to live, work, do business and visit. To that end, we measure the volume of conversations happening on the social web around Michigan’s business climate and the sentiment of those conversations. We are an active participant in those conversations as we look to move the needle in changing perceptions. Ultimately, what an organization measures should be tied to their business objective. Businesses should measure metrics that matter, and not get caught up with vanity metrics like number of followers or number of likes. If you’re not reaching the right audience, and if the audience isn’t engaging with your content and taking the action you want them to, then your efforts are ineffective. Q: How do you keep up with the continual technological changes in social media, and users’ expectations? The social media landscape changes so quickly it’s challenging for a small team to stay abreast on everything. Mashable is a great resource for social media news and trends, as is the Social Media Association of Michigan, where I am a founding board member. Q: What do you expect to accomplish as the Executive in Residence for Eastern Michigan University’s Center for Digital Engagement? I'm honored to serve as the inaugural Executive in Residence and am thrilled to see a 165-year old traditional academic institution make an innovative move by launching the Center for Digital Engagement. Digital marketing and social media is a growing profession and more and more businesses are seeking staff with those skills. I hope to help prepare students pursuing careers in digital marketing and social media professions, and assist businesses seeking candidates with social media and digital marketing skill sets. I’m working with Bud Gibson, Russ Merz and others on a variety of projects including a monthly speaker series, student clinic, and more. My office hours are Wednesday from 6:30 – 9:00 pm at the College of Business in office number #471 and my doors are wide open to meet with students, faculty and staff.